Three balls (use both baskets). - add a guided defender, shooters use their eyes to make the reads. 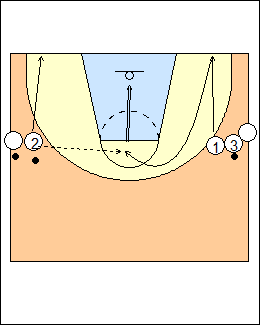 See Shooting - Pop-out, Tom Crean fill cuts. b) Canada shooting - 1 bumps the baseline, 2 makes a C-cut for a baseline shot. See Shooting - Jenkins fill-cuts. 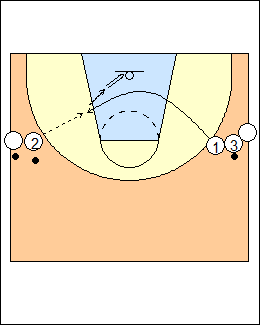 - no-dribble middle drop step, baby hook. 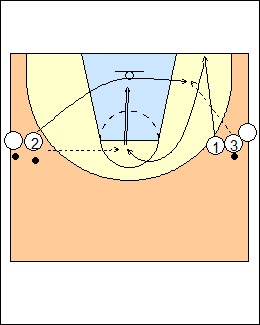 Optionally passers fake first then bounce pass baseline side. See Post play - Double cuts, Layups - Kiwi cutting.